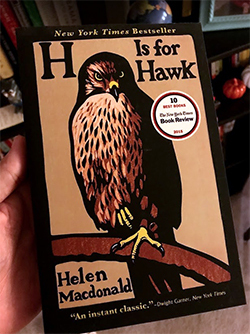 Tonight, PBS will air the first episode of H is for Hawk: A New Chapter which could loosely be billed as a “follow up” to Helen McDonald’s best-selling book H is for Hawk. 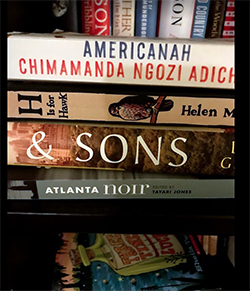 H is for Hawk is a book that’s been in the middle of my TBR pile since it came out in paperback. I’ve heard so many good things about this memoir, but I’ve just never gotten around to moving it to the “excited to read next” pile. I’m not 100% sure why that is, but I think I’m going to pick it up and read (that is after my current read Want Not by Miles) before I watch the show. In the book, McDonald trains a goshawk as part of her coping with the death of her father. The show starts next week, which is about 10 years after the events in the book. And again she’s back to raising and training birds. The movie rights to the book have also been sold. They were bought by Lena Headey who plays Cersei in HBO’s Game of Thrones. The show has the potential to add some great visuals and color to what has already proven to be a great selling book. I’m looking forward to diving into both.